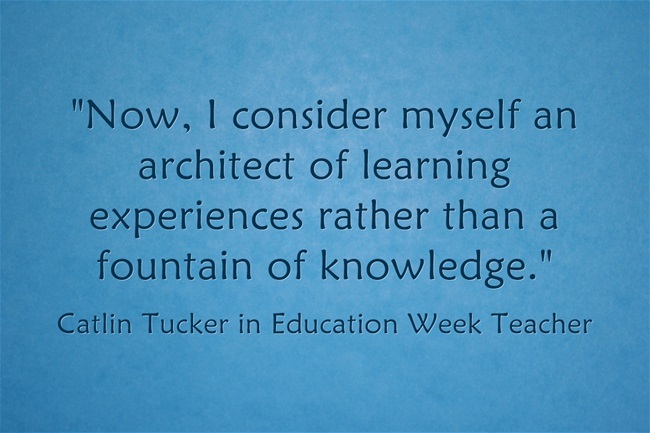 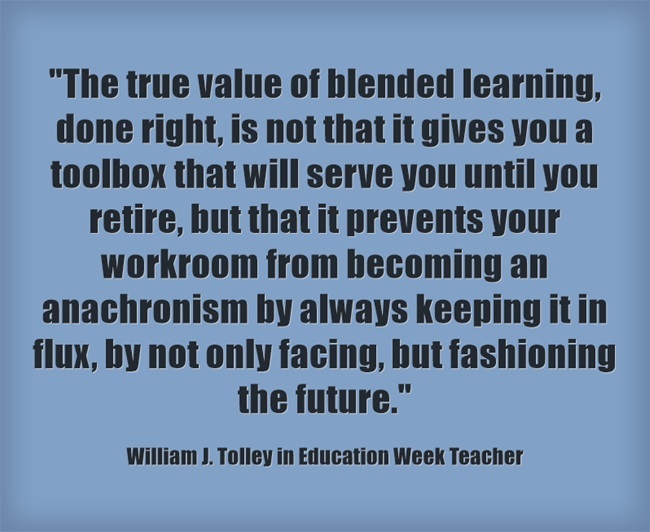 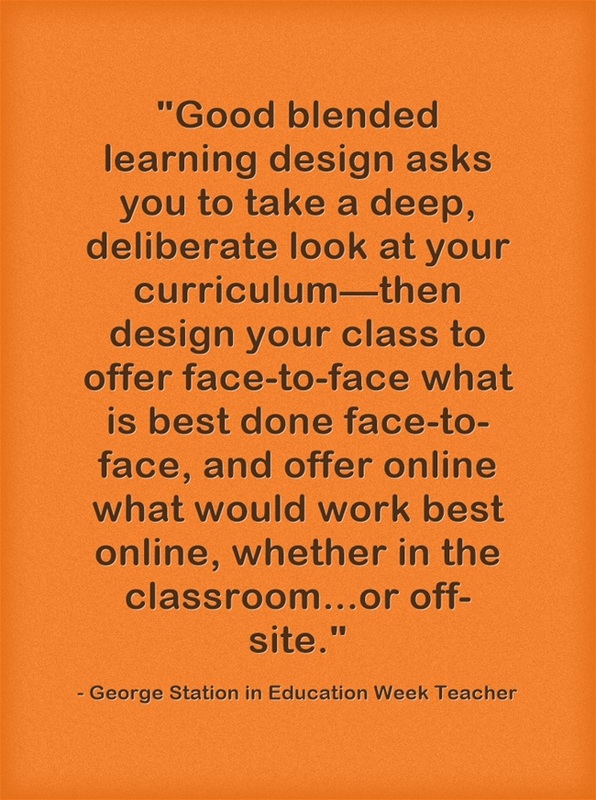 Blended Learning is ‘the Next Generation of Education’ is the headline of my latest Education Week Teacher column. 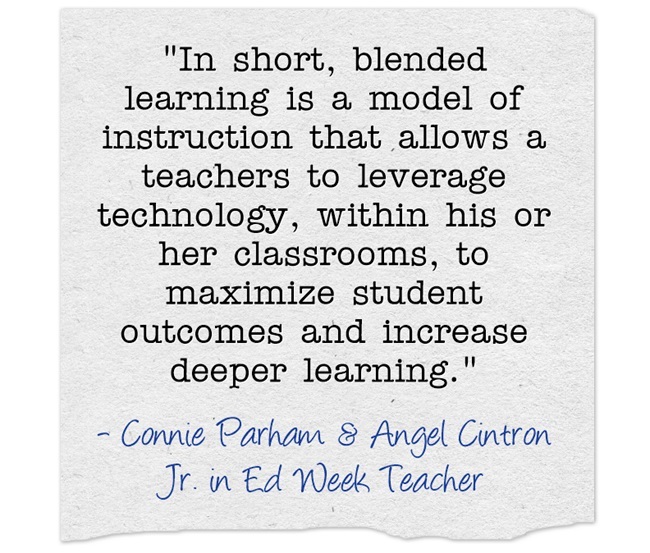 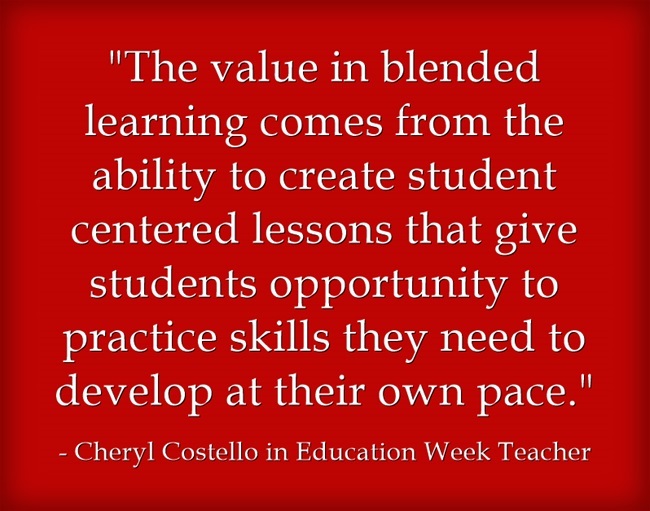 In it, Angel Cintron Jr., Connie Parham, Catlin Tucker, Sheri Edwards, Cheryl Costello, William J. Tolley and George Station explore what blended learning is and how it can be made most effective. 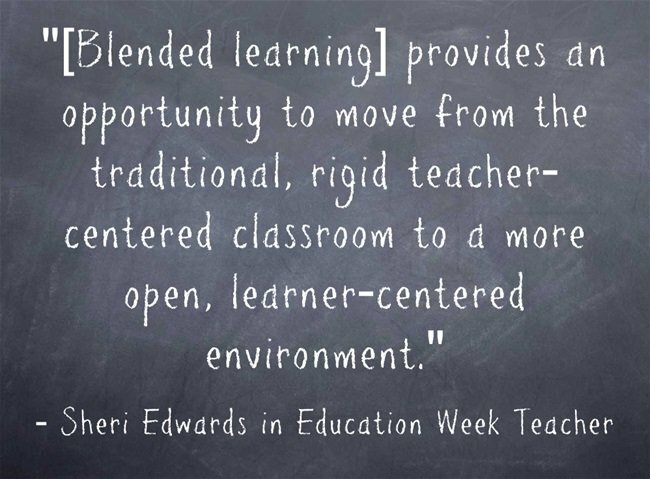 I’m adding it to The Best Resources On Blended Learning – Help Me Find More.